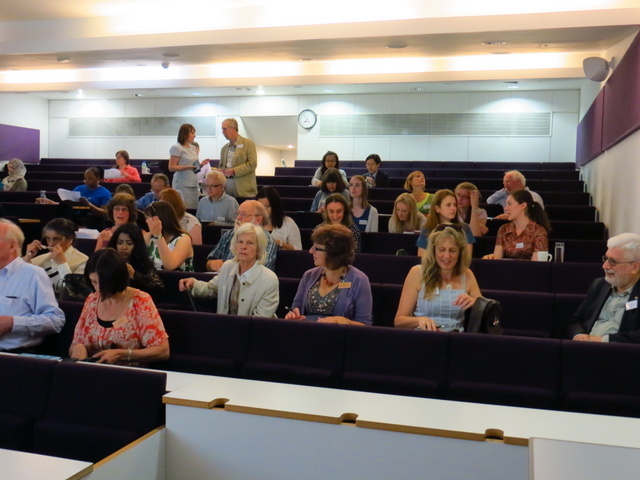 The 8th Annual Community Archives and Heritage Group Conference was held on 12th June 2014 at University College London. The theme of this year’s Conference was ‘Pass it on: Communicating archive and heritage matters’. The day began with a short welcome and introduction from the UCL Head of the Department of Information Studies, Dr Rob Miller. Professor Lisa Jardine, director of the Centre for Editing Lives and Letters, and Professor of Renaissance Studies at UCL. Lisa commented on her experience of viewing her father’s MI5 files and how, although the material was unfamiliar to her, she was able to use her archival skills. She concluded by explaining that her experience with these files had been aided by other members of the public viewing similar material. She suggested that archive material can bring people together and create communities organically. It didn’t start with Banksy! Matthew Champion, the leading expert on early medieval graffiti, gave a presentation on the work of the Norfolk Medieval Graffiti Survey. The project has between 70 and 200 volunteers (depending on the season), and has so far surveyed 250 churches throughout Norfolk. 70% of these have significant levels of graffiti which disproves the belief that medieval graffiti is rare. Matthew showed photos of the most commonly found inscriptions which included crosses, demons, people, architectural drawings, and heraldry. The survey’s discoveries are changing the way that the medieval church is viewed. There was great interaction between people and place, and there was no attempt to hide the inscriptions; the prayers were literally “made solid in stone”. The next step for the project is a fully searchable database of all the graffiti found throughout the country which will be free to access. ‘’A great place: a lawless hole with rancid drinks and reckless drunks…” Using social media for community archive and heritage groups. Jez Collins, founder of the Birmingham Popular Music archive, an archive established to celebrate and promote Birmingham’s musical heritage. The site publishes everything sent in to it, and pro actively seeks experiences and stories to add to its collections. Jez spoke about the potential of social media as a tool for encouraging participation in community archives. He talked through the different applications available including Twitter, Facebook, History Pin, and Sound Cloud, he suggested how these sites can allow archives to display and promote their material in different ways. As well as this, he highlighted how social media can be used to fill gaps within the archive, and enhance existing collections. Finally, he stressed that the effectiveness of social media is dependent on effort and time put into updating and sustaining accounts. Opening up heritage: community archives and the surprisingly interesting Heritage Lottery Fund digital guidelines and Introduction to the new CAHG website. Jack Latimer from Community Sites gave two presentations throughout the day. 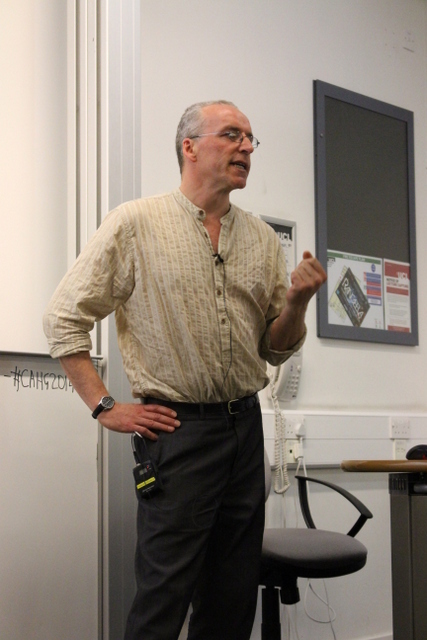 He first spoke about ‘Opening up heritage’, discussing HLF’s digital guidelines. During this talk he spoke about Open Source Software and Creative Commons License and also noted that it is possible to get a HLF grant for a purely digital project. As creator of the new CAHG website, Jack, later, gave the audience a run-through of the websites new features. 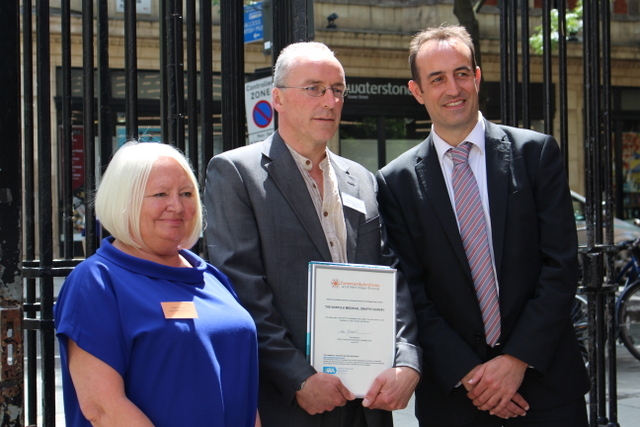 The 2014 CAHG Awards were presented by CAHG Committee Member, Peter Mason, and Dr Nick Barratt. 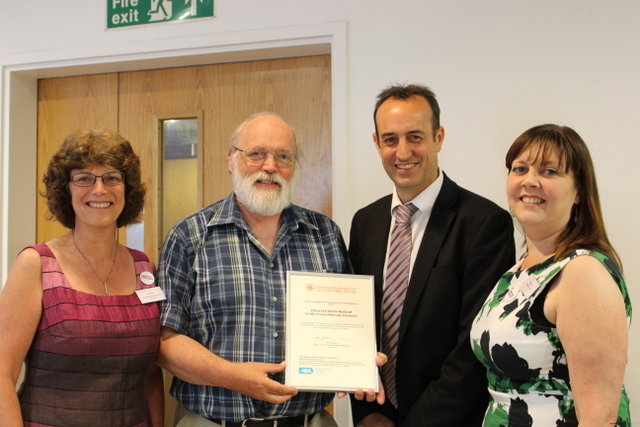 The award for Innovation was presented to the Norfolk Medieval Graffiti Survey (see above for more information). The Best New Group winner, My Primitive Methodist Ancestors (The Englesea Brook Museum) gave a presentation on their successful project. A digital archive has been produced as a ‘one-stop shop for primitive Methodism’. It aims to include a photographic record of all Primitive Methodist chapels in the UK, as well as collecting memories and a virtual archive of objects. Feedback on the project has been very positive; one member of the public said ‘it helps me understand how I came to be me’. 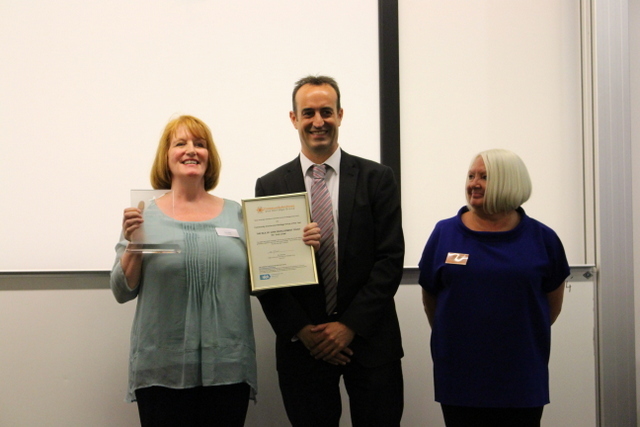 The Jura Lives project, an Oral History project documenting living memories and stories of island life, won the final two awards; the Inspiration Award and the Overall winner of Community Archive of the year. The Jura Lives project assembled a film to present to the audience about their activities with excerpts from their oral history collection. No award was given this year for Best Website. Emma Neil from the Black Country Museum spoke about the Distinctly Black Country project which is intended to bring together the history of the Black Country in one place. The site celebrates the way the past has shaped the modern Black Country landscape and encourages people to go out and explore it. They both disseminate information and aim to gather it from others with projects such as ‘My Postcode History’ and ‘Block Capital’ which records the history of tower blocks before they are all destroyed. 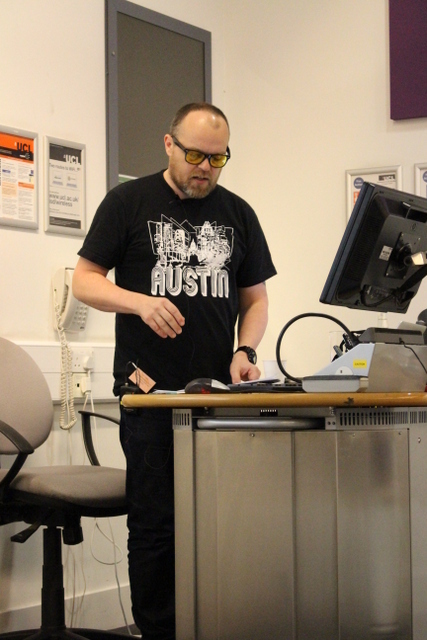 Dr Andrew Flinn gave a brief overview of the CAHG Digital Archive Guidelines, which were developed in response to feedback given at last years conference. The guidelines will emphasise affordable and practical tips for smaller organisations looking to archive digital material. They will be available on the CAHG website soon. Vanessa Weibel from the Geffrye Museum, stated that 98% of 18-24 year olds use social media, which highlights its importance as a tool to engage with young people. The museum has created a Youth Advisory Panel to help to advise on this engagement. The panel consists of a number of volunteers aged between 14-24. Members of the panel joined the conference to discuss the benefits of using social media as free marketing, and a communication tool. They agreed that effective social media should include exciting and consistent design, and should emphasise benefits such as skills building. The importance of regular posting in order to sustain conversation with your audience was noted, as well inviting contribution from new audiences. Marie Owens, Head of Public Affairs for the ARA, summarised the achievements of the Explore Your Archive campaign last year, and detailed the plans for this November. Explore Your Archive is the most successful Archives Awareness campaign to date. More than 200 archives took part and there were over 160 local press articles published. This year the campaign will take place between the 10th and 16th November. It is once again an open theme but material will be produced that will tie in with the First World War for those archives which will be involved in the commemoration. Overall, the conference was enjoyed by all and important themes were drawn out. 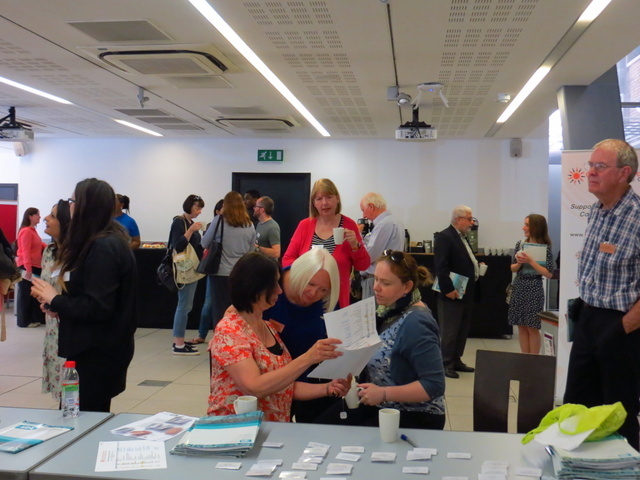 There are more ways than ever for community archives to communicate with existing and potential audiences and the conference showcased some excellent examples of this work. This page was last updated on 1 July 2014.